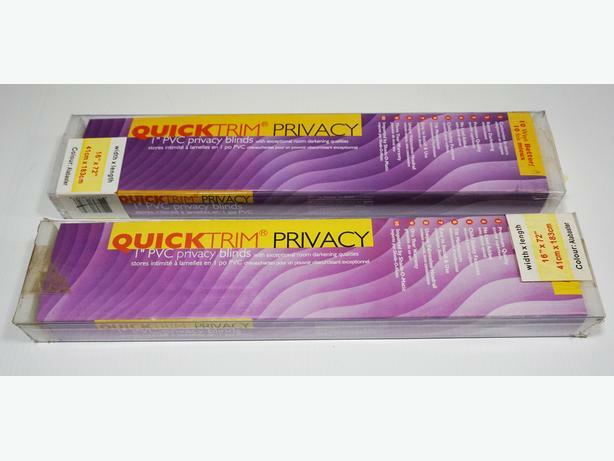 These are a "QuickTrim" 1-in. PVC Privacy Blinds 16"x72" 2Pcs. - Brand New, in original packaging. The color is Alabaster, which is a kind of light beige. The blinds will fit the side lights of an entry door for added privacy and sun protection. There are two pieces included. Pickup from Cobble Hill only.